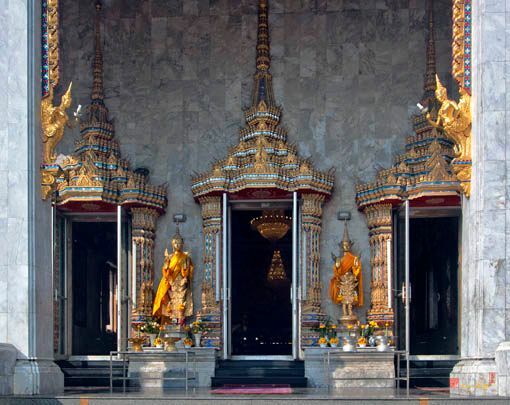 Wat Hua Lamphong is just a stone’s throw away from MRT Sam Yan Station and is situated close to Hua Lamphong Station. 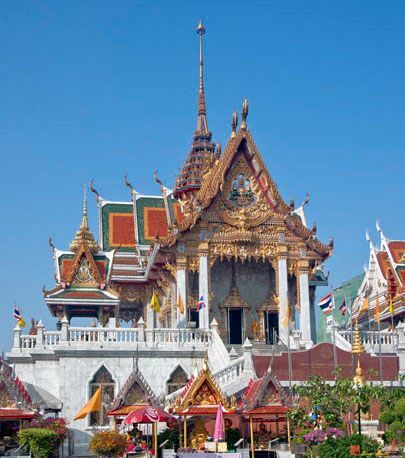 More of a local temple than an overcrowded tourist attraction, the large royal Buddhist temple is a sanctuary in Bangkok’s business center while offering plenty to see and do. Wat Hua Lamphong underwent a major renovation in 1996 to commemorate the golden jubilee (Kanchanapisek in Thai) of King Bhumibol Adulyadej or King Rama IX’s coronation. You can see the royal seal which depicts the tiered umbrella flanked by elephants at the temple. Unlike most Thai temples, Wat Hua Lamphong’s ubosot and viharnare built upon a one-story platform, as well as the pagoda (chedi). 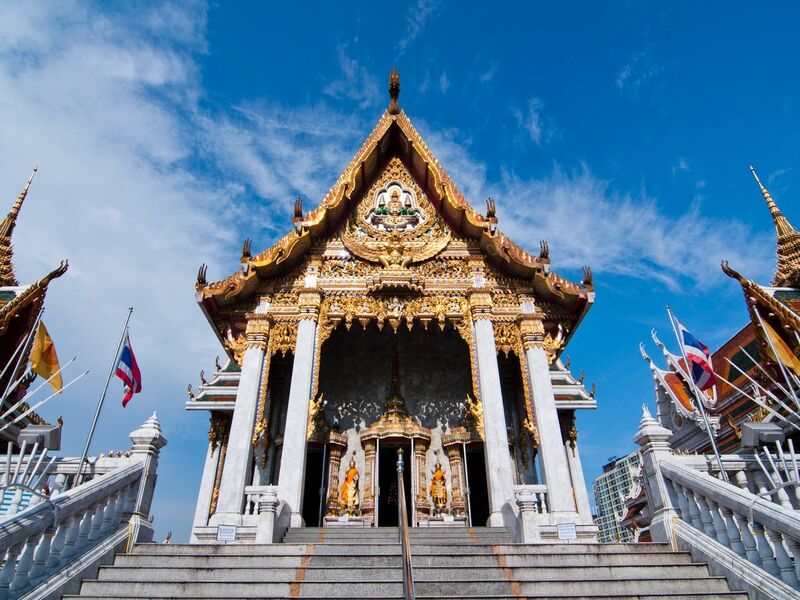 After admiring these impressive structures, walk down the stairs and visit the various shrines under the platform. King Rama V or King Chulalongkorn and the Hindu god Ganesha are also worshipped. You can make merit by putting money into the donation boxes and buying offerings for the monks. Apart from that, you can donate money for coffins. Many believe that by donating coffins, you will eliminate bad karma and bad energy. More practically, coffins are essential when we think about it. Everybody dies including the poor. Come here to experience the spritual side of the city. Wat Hua Lamphong is visited by locals and believers all day and all night. It's just fastinating to see such effort put for spiritual purpose nowadays. Belief aside, you can make a difference for people in need here, especially when it comes to the last moment of their lives.